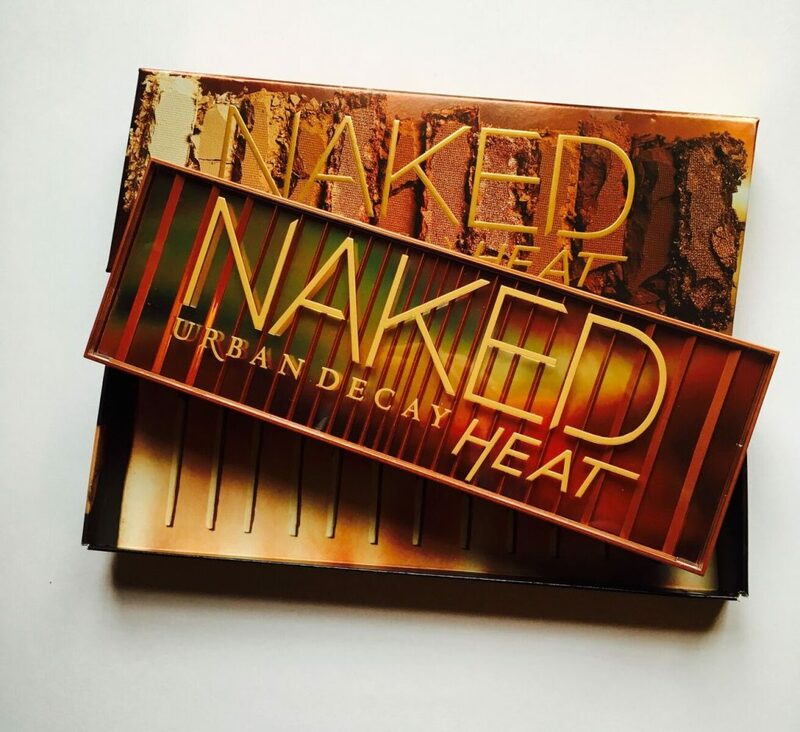 Urban Decay Naked Heat palette – a first look! 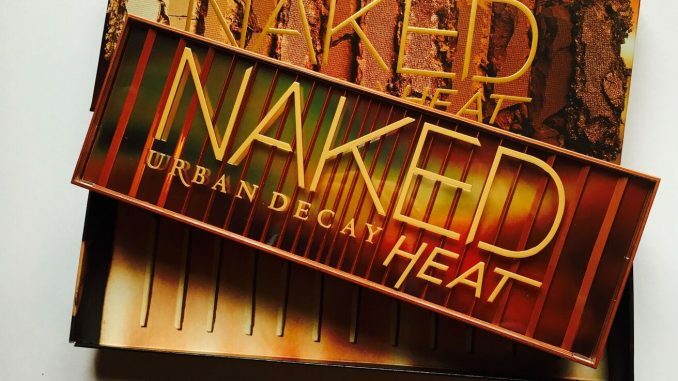 Out today in the UK, the Urban Decay Naked Heat palette is undoubtedly one of the biggest beauty releases of the year. So I was kind of surprised when a courier turned up at my door with one yesterday. Possibly he was lost on the way to Zoella’s house. Not that I told him that, as I snatched it out of his hands and ran away, cackling through the house. 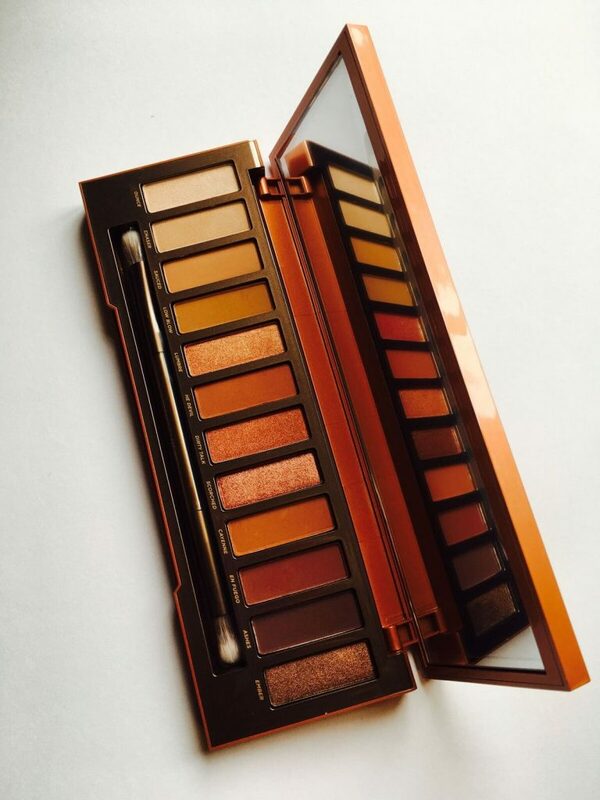 This is the sixth in the hugely successful (and widely imitated) Naked palette series. The original Urban Decay Naked palettes were the ultimate in shades to suit everyone. 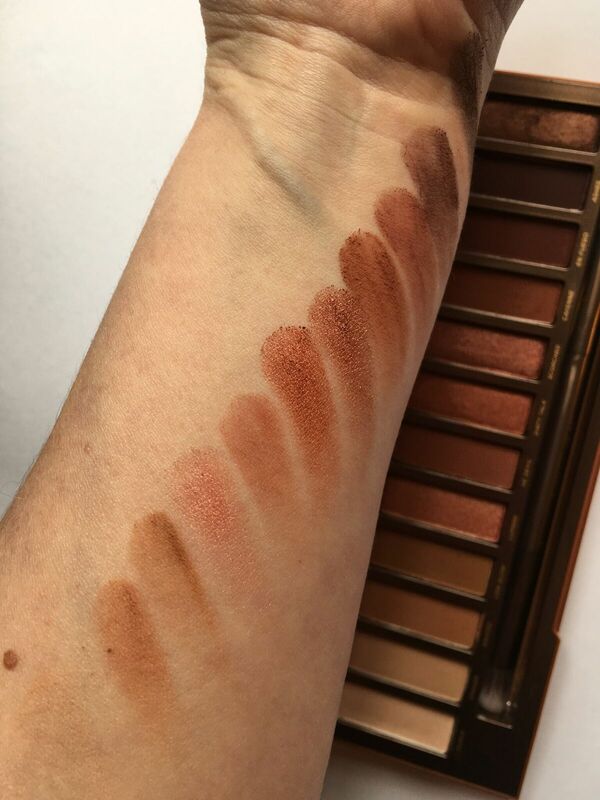 It’s easy to forget that the original Nakeds were pioneering, and Naked Heat is true to that spirit. No matter how big your make up collection, I bet you haven’t got anything quite like this. Naked was like Let’s go to work whereas Naked Heat is more like Come out and play. Packaging wise, it’s quite chunky and substantial – this isn’t one for slinging in your handbag. The outer box is apparently designed to look like a matchbox, though it reminded me more of a box of chocolates. Slide out the palette and the plastic lid is designed as if you’re looking through blinds on to a hot steamy sunset. I first discovered orange eye shadows when I got into Korean beauty products in 2014. They were very bright and glittery and had the potential to make the wearer look like a unicorn with an eye infection. Naked Heat takes that Korean inspiration and turns it into something easier to work with. The palette includes 12 warm shades, a large mirror and a double ended brush. You’re going to want to add in a finer brush as well, because less is definitely more with some of these highly-pigmented shades. And they are ALL about the pigment. On the left hand side, they start with some lighter, cafe au lait shades. In the middle we’re into the burnt orange, heading into dark, burnished copper on the right hand side. Seven of the shades are matte and the rest have a varying degree of metallic shimmer. None of them is out and out glitter – it’s more like the glowy shimmer of polished metal in the half light of dusk. Think of a car bonnet lit by moonlight. It’s that kind of shine. I do think this is more of a night time than a day time palette. Urban Decay have been very clever here in pushing their customers’ comfort zones just enough, without getting too scary. People who never in a million years would consider an orange eye shadow will be buying this in their droves. The Urban Decay Naked Heat palette is released in the UK on 27th July, RRP £39.50. You’ll find it instore anywhere that stocks Urban Decay, or on the Urban Decay website here.